Calories in Fruit Chart to help choose the best fruit. This is the place you start when you want to find out how many calories in fruit and how many calories in a specific fruit. For instance, how many calories in a banana or in an apple. You get a better feeling of the number of calories by comparing one fruit against the other.Below you will see several charts of the calories in fruit. Each chart gives a different pattern to help you decide which fruit to eat. Even on a diet it is good to get at least two servings of fruit. A serving is about a cup. I have been using calorie cash, but now you can really see how to use this feature. Let us say that you want to have some fruit for a snack, and you only want to use up 75 calories. That is 0.75 in calorie cash. Just pick one of the fruits with .75 calorie cash or one with .50 and another with .25 calorie cash. This works because even professional dieticians have a difficult time estimating serving sizes. This average number is as close as you need to get and it really makes counting calories much easier. 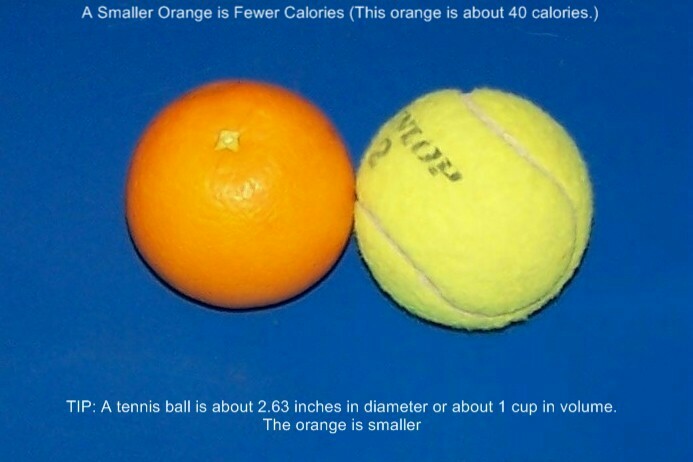 The following chart does not compare apples to apples, but it does compare 1 cup of fruit to 1 cup of fruit.